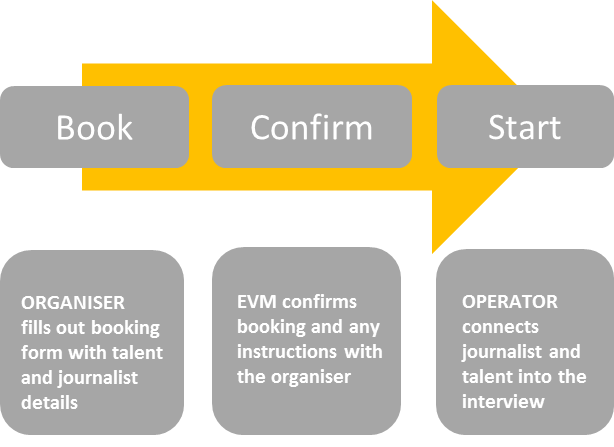 Busy interview schedules can be easily managed with our Talent Connect service. Human Resources and Public Relations agencies can keep their interstate and international talent interviews on track. Job interviews can also be conducted in this way. We are a publicity company and have worked with Express Virtual Meetings for several years. We regularly use their managed call service for our international and local interviews with talent and journalists. Express Virtual Meetings manage these phone calls for us very effectively, if there is ever a problem they are prompt in alerting or fixing it as quickly as possible. They have always been discreet with celebrity details and have been extremely professional when ending or wrapping up calls. I happily recommend this service to other companies.